Dr. Mittal is the AT&T associate professor of Psychology at Northwestern University and holds an appointment in the Department of Psychiatry in Northwestern Feinberg School of Medicine. He is on the faculty of the Northwestern Intradepartmental Neuroscience Initiative (NUIN) and the Institute for Policy Research (IPR). He is also holds a faculty position in the Department of Medical Social Sciences and serves as the Co-Director of the Institute for Developmental Science training core. He is also an Adjunct Assistant professor in the Department of Psychology and Neuroscience at CU Boulder. He conducted graduate training at Emory University, and completed a specialized adolescent serious mental illness internship and postdoctoral program at UCLA. Over the past several years Dr. Mittal has published over 150 articles working to understand causes behind mental illness among adolescents and young adults, and he specializes in early identification, assessment and treatments for youth at high-risk for psychosis. He founded the ADAPT research lab to help these individuals and their families. This work has garnered large scale extramural funding from federal sources A as well as a number of private foundations. Mittal has been the recipient of numerous awards and honors including the National Institute of Mental Health (NIMH) BRAINS award, Society for Research in Psychopathology (SRP) Early Career Award, Federation for Brain and Behavioral Sciences (FABBS) Early Career Award, and Brain and Behavior Research Foundation Independent Investigator Award. http://www.psychology.northwestern.edu/people/faculty/core/profiles/vijay-mittal.html. Denise graduated from Northwestern with a B.S. in Education and Social Policy with concentration in Human Development and Psychological Services. She most recently served as a clinical research assistant at Rush and sexual assault crisis intervention advocate at Northwest CASA. Denise enjoys investigating the associations of early life stressors and the development of mental illness. She is happy to have returned to her alma mater and intends to apply her experiences to a career conducting research and delivering treatment to vulnerable populations. Rachel is a recent Northwestern University graduate, and the newest lab manager at ADAPT. She is especially interested in learning differences and adolescent development. She hopes to attend medical school and become a psychiatrist or surgeon. Rachel is excited to be part of the ADAPT team and gain experience in clinical psychology! Dr. Azis received her PhD from King’s College London where she specialized in the clinical presentation and neurobiology of patients at Ultra High Risk of Psychosis. She worked in the Psychosis Studies Department at Institute of Psychiatry, Psychology and Neuroscience in both clinical and research settings, with adults and children experiencing psychotic symptoms examining the neurobiological, clinical and cognitive factors underlying the onset of psychosis. She joined the lab in Fall 2017 to continue her research in to symptom dimensions and the relationship between clinical presentation and resting cerebral blood flow. Dr. Cibelli is a postdoctoral researcher in Linguistics Department at Northwestern. She received her Ph.D. in linguistics from UC Berkeley, where she worked on acoustic and motor variables influencing second language phoneme acquisition. Her research focuses on the interaction between language processing and cognition, and the neural representation of speech and language. She joined the ADAPT Lab in fall 2016 to collaborate on a project investigating variation in speech motor control as a predictor for psychosis risk. Dr. Claire Yee is a postdoctoral fellow in the Department of School and Social Policy and Education and the Department of Psychology at Northwestern. In collaboration with Dr. Claudia Haase, she works with the ADAPT Lab to explore how the biological and emotional pathways of social reward and support differ in psychosis. She received her PhD from Arizona State University where she studied emotional mechanisms that foster attachment relationships. Her research focuses on the processes through which positive emotions facilitate close relationship formation and maintenance as well as investigating the unique contexts in which traditional relationship vulnerabilities can provide unexpected tradeoffs. Dr. Damme received her PhD from Northwestern University where she examined in cognitive and neuroimaging markers of risk for psychopathology (bipolar disorder and psychosis). Her research focuses on the contributions of early and adolescent brain development to risk for psychosis using cortical morphometry and neural connectomics. 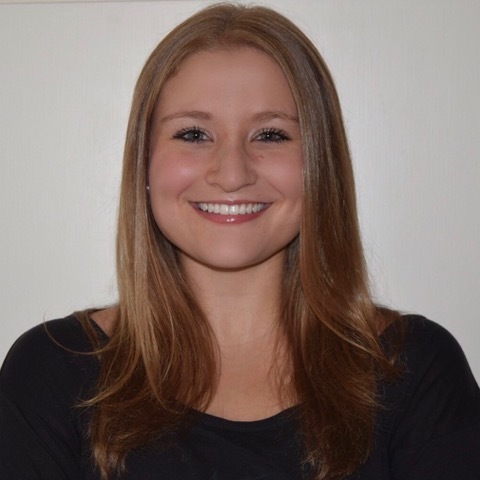 She joined the lab in 2018 to examine how interventions like exercise and tDCS may mitigate risk for psychopathology by altering cognition and neural networks. Tina graduated from University of Colorado at Boulder with a B.A in psychology and sociology. During her time at CU, she worked on different research studies focusing on cognitive science as well as the treatment of postpartum depression in teen moms. She served as the lab manager at ADAPT Colorado for two years and recently moved to Chicago to begin graduate training. In the ADAPT lab she has focused on several topics of interest to the early psychosis including nicotine, cognition, perception, language and gesture. She enjoys working with teens and young adults, and is currently in graduate training at Northwestern University in the Psychology Department. After graduating from Longwood University with a B.S. in Psychology, Juston worked in the Social Neuroscience and Psychopathology Lab at Harvard University. During his time in the SNAP Lab, Juston was involved in several projects investigating neural and motor abnormalities in individuals with schizophrenia spectrum disorders. He continued and expanded his research on motor abnormalities in the Master's program in Experimental Psychology at the College of William & Mary. Juston is currently a graduate student in Dr. Vijay Mittal's ADAPT lab in Chicago. His research interests focus on the use of multimethod approaches (psychophysiology, neural/cognitive markers, etc.) to characterize the factors that best predict transition to formal psychosis in order to facilitate the development of interventions to mitigate the likelihood of conversion. Teresa graduated from the University of Miami with a B.S in Psychology and English Literature. During her time at UMiami, she worked on research projects investigating executive control and cognitive bias in mood disorders, as well as researching the effect of educational and socioeconomic interventions in healthy preschoolers. After graduating, she worked at the NIMH Clinical and Translational Neuroscience Branch, in the genes, psychosis and cognition section. During her time there, she was involved in projects incorporating genetic and functional neuroimaging approaches to understanding psychosis. Teresa is currently a graduate student in Dr. Vijay Mittal’s ADAPT lab in Chicago. Her research interests include using multimodal approaches to understanding prodromal populations and target prevention and intervention efforts. Before becoming a graduate student in the Department of Psychology and Neurosceince and the University of Colorado Boulder, Derek served as the ADAPT’s clinic coordinator. Derek studied Philosophy and English Literature at the University of Denver and the University of Oxford as well as the basic sciences at Columbia University. He has worked as a volunteer and research assistant on a mental health crisis prevention hotline and as a volunteer in several mental health treatment facilities around Boulder. Currently, his interests include biological, social and psychological markers of risk; emotion; cognitive behavioral and mindfulness based interventions for mental illness; and software applications for psychological stimuli. In his free time, Derek enjoys the outdoors. Ivanka graduated from Roosevelt University with an MA in Clinical Psychology. During her graduate training, she was a research assistant in a lab focusing on norming computer based category and digit span tests. Ivanka completed her clinical practicum at an inpatient unit of Hartgrove psychiatric hospital where she worked with at-risk populations experiencing highly acute symptomatology including but not limited to psychotic symptoms, suicide ideation, homicide ideation, and aggression. Ivanka is interested in working with adolescents and young adults, and her research interests include neurological and hormonal basis for severe psychopathology development and maintenance and their role in developing new treatment methods. She started Graduate school at NU, in the ADAPT lab, this fall. After graduating from the University of North Carolina at Chapel Hill with a double major in Psychology and English, Andrea began working as a research assistant at Duke University. While at Duke, Andrea worked with children, adolescents, and their families to investigate post traumatic stress disorder, substance abuse, and childhood brain development. For the past three years, Andrea has trained at the PRIME (Prevention through Risk Identification, Management, and Education) high-risk clinic at the University of North Carolina at Chapel Hill. She is currently a graduate student in the Mittal lab at CU Boulder, and is interested in developing early identification and treatment strategies for adolescents and young adults. She will be moving to Boston for Internship this summer! After graduating from Mount Holyoke College with a double major in Psychology and Religion, Emily worked at Harvard University in the Social Neuroscience and Psychopathology Laboratory. At Harvard, Emily worked with children and young adults at risk for developing psychosis and individuals with schizophrenia to investigate social cognition, emotion, and targeted cognitive training as an early intervention strategy. Emily is currently a graduate student at CU Boulder in the Mittal Lab and is interested in early identification and intervention for youths at risk for mental illness. Katia Zalkind graduated from the University of Illinois at Champaign-Urbana, where she worked with Neal Cohen. Her honors thesis involved priming for words and nonwords generated by an artificial grammar. After receiving a National Science Fellowship and coming to Northwestern University, she worked with Ken Paller and Sohee Park. Katia’s Masters Thesis concerned event-related potential correlates of reading. Katia also managed a group home for Trilogy Inc—a behavioral healthcare center in Rogers Park. In the Mittal lab, Katia is investigating semantic priming and connectivity in individuals at high risk for psychosis. Her area of interest is the intersection of brain, language, and psychopathology. Raffles is a doctoral student in the Clinical Psychology program at Northwestern University. He received a bachelor's degree in psychology and criminology at the University of Toronto, and worked in addictions and geriatrics at Toronto's Centre for Addition and Mental Health before coming to Northwestern. 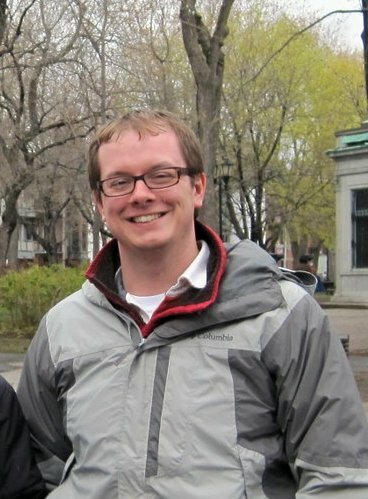 He primarily works in the Foley Center for the Study of Lives at NU with his mentor, Dan McAdams. His research in the ADAPT lab focuses on self-referential processes (e.g. self-concept, narrative identity) in the development of psychosis and other mental illness. Dr. Gupta is an Adjunct Instructor in Department of Psychiatry and Behavioral Sciences at Northwestern University. He is also Clinical Director of Psychological Trauma Program and Medical Director of Inpatient Adolescent Unit at Hartgrove Behavioral Health System, Chicago, IL. He is a psychiatrist with two psychiatry residency trainings, one from India and another from the US. He has also completed a fellowship in Child and Adolescent Psychiatry from Emory University, Atlanta, GA. He was a Visiting Scientist at Feinstein Institute of Medical Research at Northshore-LIJ Health System, NY. He has worked extensively in clinical research including as Global Team Lead, Project Manager and Research Psychiatrist with a computerized human cognitive functions assessment specialist group and led medical & scientific writing department in a large CRO. Prior to these, he worked as Senior Research Fellow at India’s prestigious All India Institute of Medical Sciences, New Delhi. Over the years he has published several papers, posters and gave presentations in the area of computerized cognition testing, psychopharmacology and outcome research. He has been the recipient of numerous awards and honors throughout his career. He is striving to utilize techniques of computational psychiatry to answer some of the most pressing questions that are facing the field of human cognition today. His work with ADAPT involves analysis of neurocognitive function, as well as consultation on assessment cases. Grishma is a senior majoring in neuroscience and anthropology at Northwestern University. She is very interested in learning about the brain and its disorders. Apart from undergraduate research, she loves photography, being a part of NU Red Cross, volunteering, and listening to Spanish music. After graduating, she plans to attend medical school to pursue her dream of becoming a neurologist. Kimberly is an undergraduate majoring in Philosophy and Neuroscience with a minor in Global Health. She is currently entertaining a career in law. She is excited to work at ADAPT, as the lab's interdisciplinary nature is well suited to her widespread interests. With this experience, she hopes to gain insight into to which area of research she would like to pursue in the future. Alara is an undergraduate at Northwestern University in her fourth year, pursuing a major in Manufacturing and Design Engineering with a double major in Psychology. Alara is especially interested in sensory processing, as she plans on designing environments and systems for individuals who experience the sensory environment differently. She is hoping to obtain a PhD in Clinical Psychology after graduation. Alara is very excited to gain research experience with the ADAPT lab. Katia is a fourth year undergraduate student at Northwestern University studying Psychology and Global Health. She is especially interested in the intersection between global service and medicine, and is currently pursuing a career as a physician in the hopes of becoming a surgeon. Aside from her interest in science, she loves to run, sing, and volunteer with children of all ages. Katia is looking forward to contributing to the ADAPT team this year and gaining experience in the psychological research field! Defne is a senior at Northwestern University majoring in Neuroscience. She wants to work towards a PhD in Clinical Psychology and is specifically interested in working with early adolescents. Along with a career in academia and therapy, she hopes to translate English literature in psychology to Turkish because she likes to read and share knowledge. Defne is excited to join the ADAPT team and gain experience in clinical research. Jordyn is an undergraduate at Northwestern majoring in Human Development and Psychological Services. She is interested in exploring emotional behavior in those at a clinical high risk for developing psychosis, and she plans to pursue graduate school in clinical psychology after she graduates. Alyssa is an undergraduate student at Northwestern University in her third year. She is majoring in Human Development and Psychological Services (HDPS) and Psychology. She is very interested in the field of clinical psychology and hopes to pursue a career as a licensed clinical psychologist. Alyssa is excited to be a part of the ADAPT research team! Hillary graduated from Rosalind Franklin University of Medicine and Science with her M.S. in Clinical Counseling. At both the graduate and undergraduate level, she conducted research focused on biological markers associated with psychosis—with a particular focus in neuroimaging. Hillary is currently working at a private practice conducting neuropsychological assessments with children and adolescents and she has clinical experience treating patients with a wide variety of severe mental illnesses. Hillary joined the ADAPT lab to explore her interest in the use of neuroimaging to identify youth at risk for psychosis as well as the development of early intervention strategies. 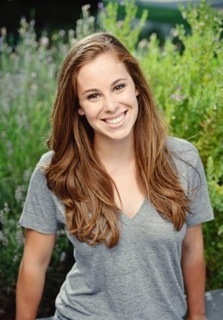 Chloe is a second year undergraduate at Northwestern University majoring in Neuroscience and minoring in Psychology. She is very interested in mental health and the intersection between medicine and psychology. Aside from her interest in research, she loves tennis, photography, and volunteering at the hospital. After graduating, she plans to attend medical school. Chloe is very excited to join the ADAPT team! 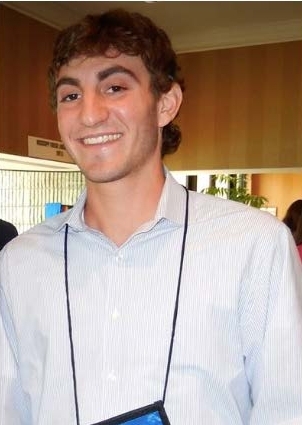 Albert is a second year undergraduate at Northwestern majoring in biological science. He is currently pursuing a career in the medical field where he is interested in the brain. Through the ADAPT lab, Albert hopes to better understand psychopathology research and its implications on medicine. Jessica received her PhD in Cognitive Neuroscience from the University of Michigan in 2012. While at Michigan, her research combined behavioral measures of motor and cognitive function with resting state functional connectivity MRI to investigate the cerebellum in young and older adults. She is particularly interested in understanding the structure and function of the cerebellum across the lifespan in both health and disease. Jessica also has experience using non-invasive brain stimulation (TMS) to study the organization of the motor cortex and cognitive function, and has worked on projects investigating the motor and cognitive benefits of working memory training. Working with ADAPT as a postdoc, she investigated both functional and structural networks of the cerebellum in high-risk individuals over the course of their disease progression with respect to symptom severity and cognitive function. She is now an assistant professor at Texas A&M University in the Psychology Department. Joe received his PhD in cognitive neuroscience from the University of Michigan in 2011. His research focuses on identifying the neural mechanisms of cognitive flexibility, with a focus on understanding how behavior is guided by the interaction of internal goals and external information. He has interests in understanding how these mechanisms are disrupted in psychiatric disorders such as schizophrenia and substance abuse. During this postdoctoral training, he focused on investigating how brain connectivity differs between controls and high risk individuals, and how connectivity varies with symptoms and behavioral measures. He is now an assistant professor at Texas A&M University in the Psychology Department. After graduating from the University of Virginia in 2006 with a degree in psychology, Jessica spent two years as a research fellow at the National Institute of Mental Health, investigating the phenomenology and pathophysiology of pediatric bipolar disorder. During her time at ADAPT, she was co-mentored by Drs. Mittal and Miklowitz. Her graduate research projects focused on the role of sleep disturbances in the course and treatment of bipolar disorder and early psychosis in children and adolescents. She completed her Doctorate CU-Boulder in 2014, and is currently an Assistant Professor at Duke in the Psychiatry Department. Dr Lubin completed her residency in the Northwestern Feinberg University School of Medicine Department of Psychiatry and Behavioral Sciences. Her work with ADAPT will involved research focusing on social and occupational functioning; in addition she helped the ADAPT team with clinical consultation and diagnosis. She is currently pursing medical practice in Wisconsin. 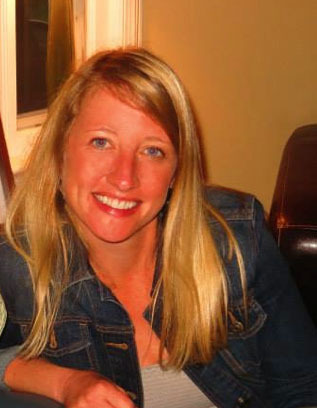 Holly received her PhD in cognitive psychology from the University of Virginia in 2013. She was an ADAPT lab Post-doc for two years and her research focuses on the mechanisms underlying social functioning, with a focus on face processing and recognition. She has interests in understanding how these mechanisms are disrupted in psychiatric disorders such as schizophrenia. She has recently begun an exciting new career employing her significant analysis skills to help inform public policy and improve health disparities. Christopher's training has focused on working with adolescents and adults who are living with or are at risk for severe mental illnesses, and clients from marginalized populations including peripartum women and LGBTQ people. His research interests focus on the role of family environmental and neurobiological variables in the course, prevention, and treatment of bipolar disorder, psychosis, and suicidality in adolescent and young adult populations. He has collaborated with the ADAPT team on several ongoing research projects. He is currently Directing a clinic in Portland. Briana, a Whisman Lab student and ADAPT grad affiliate, is now on her APA approved Internship in Washington. Briana studies romantic relationships and mental health. Dan, a Wilcutt Lab student, and member of the ADAPT team, is now on his APA approved clinical Internship. His primary interests include early identification and remediation of developmental learning disabilities (e.g., dyslexia, math disability, ADHD) and the dissemination of evidence-based remedial practices. Sekine graduated from the University of Minnesota, Twin Cities with a B.A. in psychology and a minor in neuroscience. During her time at the UMN, she worked as a research assistant at the Research on Adolescent Depression (RAD) lab studying neurobiological and cognitive underpinnings of adolescent depression. She had experience with adolescents who had depression, bipolar disorder, and non-suicidal self-harm. She is interested in neuroimaging and neurobiological basis of psychopathology and hoping to attend graduate school in clinical psychology in the near future. She recently accepted an offer to Join the Nusslock lab as an imaging analysis RA. Julia worked as an RA and outreach coordinator on the ADAPT team, and is now working at a guidance councilor in Boston. Jessica is an NU alum, and now works for private industry in Denver. She worked as an RA at ADAPT, and plans go back into the field in a few years. Jessie graduated from Oberlin College with a B.A. in psychology. As an undergrad, she focused on social-behavioral psychological research, such as delayed gratification and altruism at the Gilbert Lab at Harvard, and the efficacy of a bystander intervention training programs to prevent sexualized violence on college campuses at the Morean Clinical Lab at Oberlin. She is very interested to further explore clinical research— particularly that which focuses on early intervention treatments-- and is excited to learn more about psychosis and prodromal populations while working at ADAPT as a Post-Bach RA. Jackie graduated from Northwestern University as a psychology major. At Northwestern she was involved in many mentoring and mental health clubs on campus. She is very interested in clinical psychology research and in pursuing this field in the future! She is now working as a Chicago Program Fellow at Peer Health Exchange. Amy graduated from Northwestern University, majoring in Human Development and Psychological Services (HDPS) and Psychology. She is especially interested in abnormal psychology, while clinical psychology has always been a passion as well. Amy is now a research fellow at the National Institute of Mental Health. Ned graduated from Northwestern University majoring in Neuroscience with a focus in neurobiology. He is especially interested in learning about neurodevelopmental and neurodegenerative disorders. Ned was also a Spanish minor and enjoys playing tennis and guitar. He hopes to attend medical school and study orthopedics. Emily graduated from Northwestern, majoring in Psychology and minoring in Religious Studies. She intends to get a PhD in Clinical Psychology. She currently works at LinkedIn as a business leadership program associate. Victoria graduated from Northwestern University in her third year and is pursuing a dual degree in psychology and music cognition. After graduating, she hopes to obtain a PhD in Clinical Psychology and hopes to focus specifically on PTSD in combat veterans. 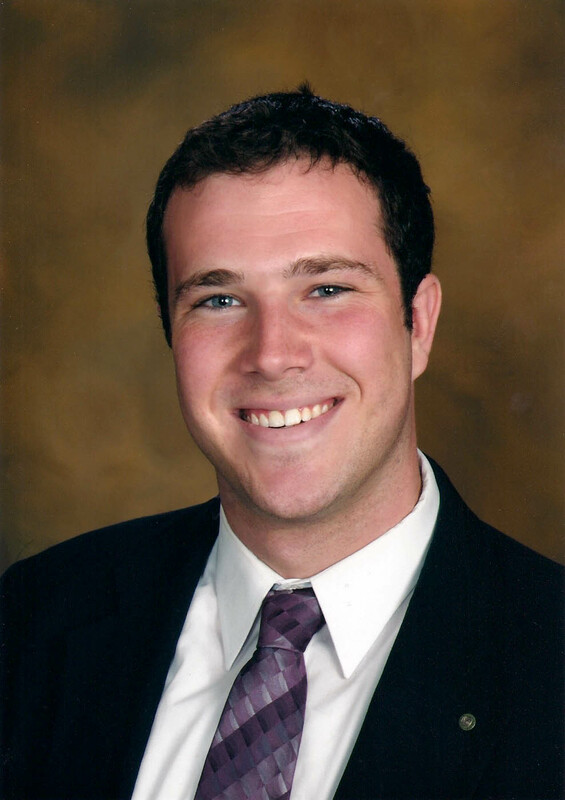 Zak worked as an ADAPT RA for several years focusing on gesture dysfunction and negative symptoms before joining the Schiffman lab for graduate training in Clinical psychology. Rae Newberry directed the ADAPT lab in Boulder CO from 2015 after completed her degree in Psychology at the University of Colorado, until Summer 2018. She plans to attend graduate school for clinical psychology or nursing and is currently working to build skills in working with patients. She has experience working as an assistant in physical therapy and on research projects investigating semantic processing in individuals at risk for psychosis. Olivia was an ADAPT RA who completed an honors project in the lab during her time as an undergraduate student, and is now working for Carrie Bearden as a research coordinator at UCLA. Shane was prepared to start in the fall of 2018 as a graduate student at Northwestern and new member of the ADAPT lab. His research interests centered around understanding the neurobiological mechanisms that link psychosocial stressors with self-knowledge deficits observed in psychosis. Shane received his B.A. in psychology from San Francisco State University. As an undergraduate, he assisted with research at the University of California, San Francisco that examined the inhibition of imitative behavior in patients with schizophrenia. After graduation, he conducted research at Columbia University using functional neuroimaging techniques to characterize the relationship between stigma and social cognition in patients at clinical-high risk for psychosis. Shane was taken from us, in an untimely and violent way, shortly after arriving in Chicago. He had only just begun to touch our lives, but in that short time, had already become an important member of our group. He will be missed, but never forgotten. The ADAPT lab team and our community are still reeling from this loss and trying to come to grips with what has happened. We are dedicated to honoring Shane’s memory through continuing his important work, aimed at reducing stigma and improving our understanding of how societal stress may exacerbate risk for serious psychopathology. Dr. Ross served as a Board Examiner on General and Child-and-Adolescent Psychiatry, American Board of Psychiatry and Neurology and the Director of Medical Student Research at CU Denver. Dr. Ross played a vital role in helping the ADAPT team start its work in Colorado. He touched the lives of many patients, students, and colleagues, and will be missed dearly.